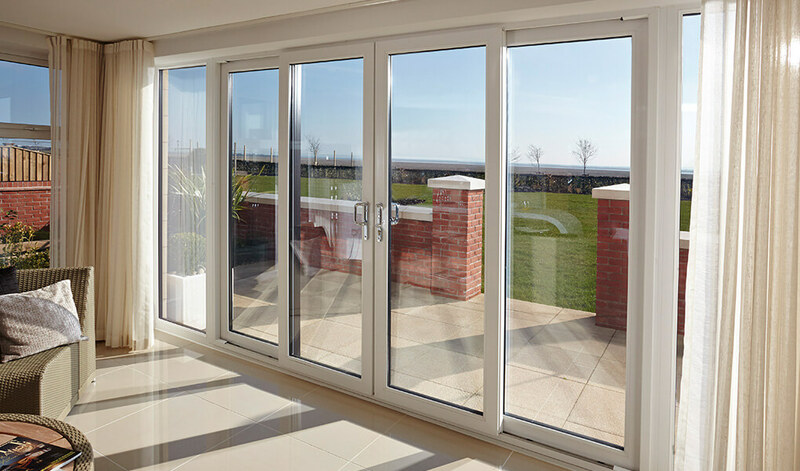 Patio doors are ideal for anyone who wants to enjoy views of their garden in the best way possible. 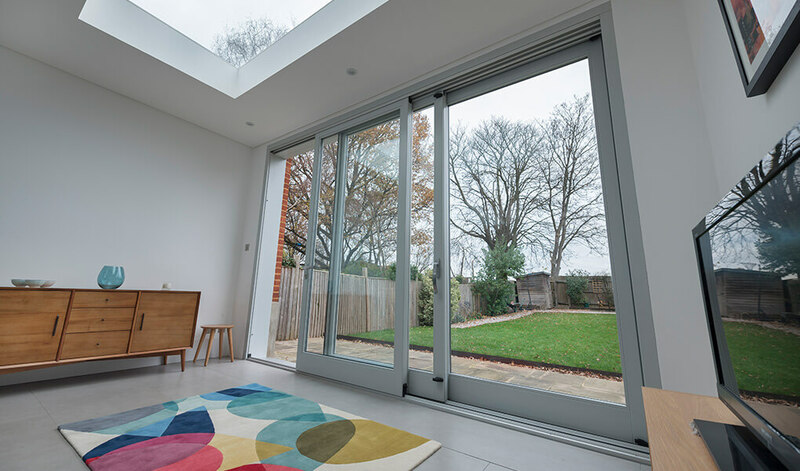 They feature sleekly designed frames and large areas of glazing so are perfect for increasing light levels in your home too. 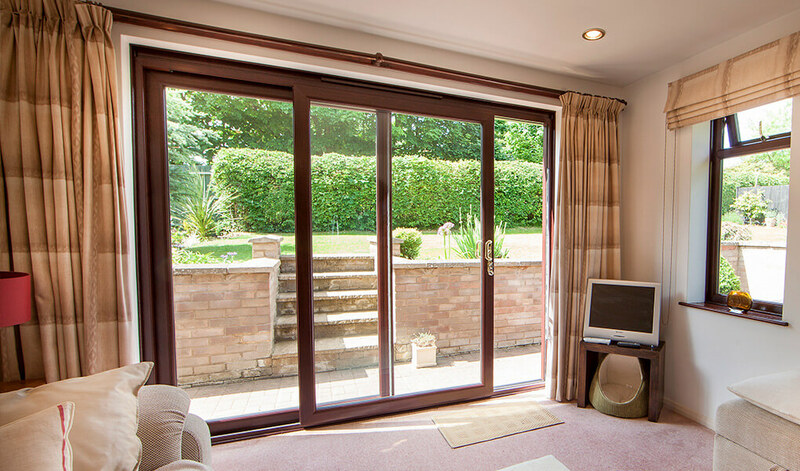 The beauty of patio doors is, unlike doors that open inwards or outwards, they don’t encroach upon the available floor space. This means they’re an excellent fit for any locations where space is at a premium. Smoothly opened by sliding them to one side, with patio doors, it’s easy to freshen up your home with a welcome injection of air. Manufactured from low maintenance uPVC frames, keeping them clean is an absolute breeze. This is combined with high-performance glazing to ensure they won’t be a source of heat loss for anyone’s home. Conversely, they’ll actually be able to save you tidy sums on your heating bills. 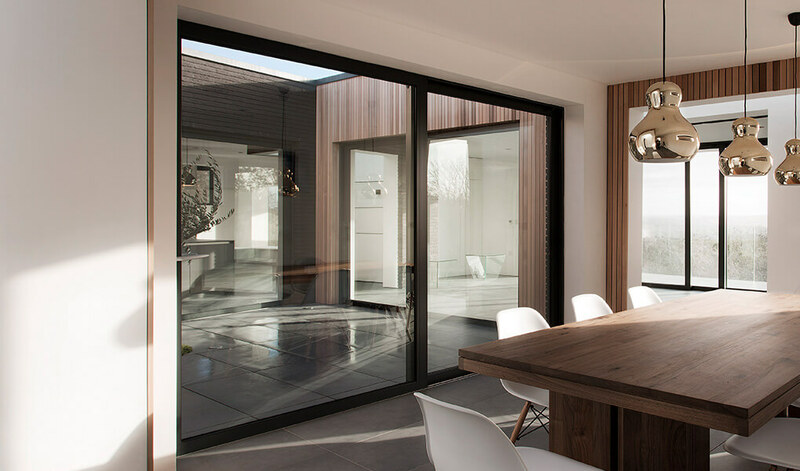 Fitted by a team of home-improvement specialists with over 26 years of experience, we can tailor their size and configuration to suit your home. They can achieve U-values of just 1.2 W/m2k, meaning they're great for improving the energy efficiency of your home. 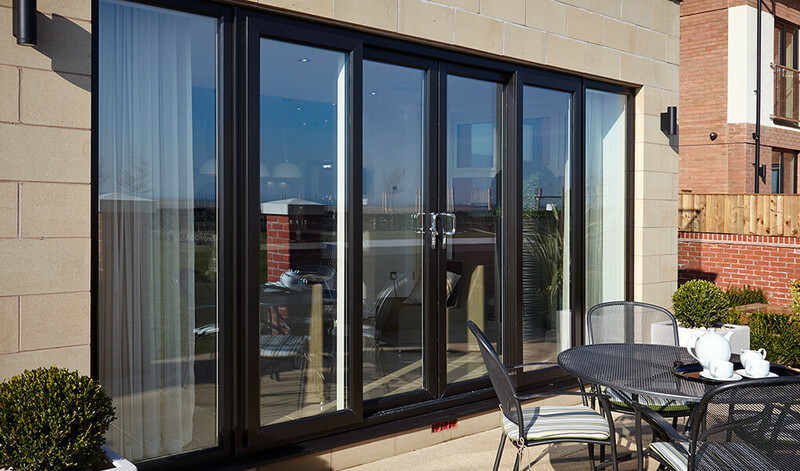 Our patio doors are secured at various points in the frame via multi-point locking systems whilst they utilise anti-jacking hardware to prevent the door panels from being removed externally. The high-quality uPVC they're built with is immensely durable, which enables them to look great and keep out the weather for years to come. If you require ease of access or just want to reduce the risk of tripping, we provide a low threshold option. With a choice of colour foils and wood effect finishes, you're bound to find a finish for the doors that makes them a perfect fit for your home. Dual colour options are also available, giving you the chance to colour the interior and exterior parts differently. Patio doors from Premier Windows come in various configurations. Choose from either 2, 3 or 4 panels which can be configured to open to either the left or right. Choose from Chrome, Anodised Gold, Black, and a selection of other colours for the door handles. We also provide the option of a midrail, which is a great fit for any French doors that have been fitted onto a porch.